From those silky Hermès scarves to Chanel No. 5 to the iconic black-and-white-striped tee, French style is always, well, in style. So it should come as no surprise that the French approach to home decor should be something to aspire toward as well. “The French have a particular affection for old and for antiques, and they despise total looks,” she says, referring to the matching sets so commonly seen in U.S. big-box stores. Most importantly, the French take time to imbue their spaces with items that are distinctively them, Mozouz stresses. Ready to give your home that je ne sais quoi? Here are six decor secrets to steal from the French. Don’t fix it if it ain’t broken, right? 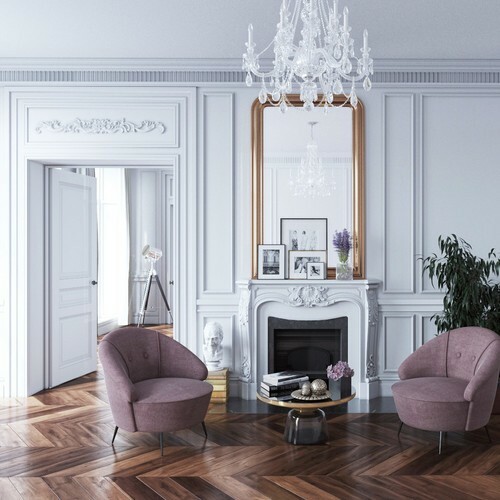 French style has spent centuries at the forefront of fashion and culture, so there’s no reason to veer far from this aesthetic, explains Lauren Lozano Ziol, a Chicago-based interior designer and former Parisian who often works with clients in France. But you don’t have to be 100% old-world to get the authentic French feel. Even though a few pieces of modern furniture bring a welcome breath of fresh air, don’t forget to showcase historical elements if your home has them. If you don’t live in a vintage home or want to add some historical details to your remodeled pad, consider touches that will give you a classic or vintage look. 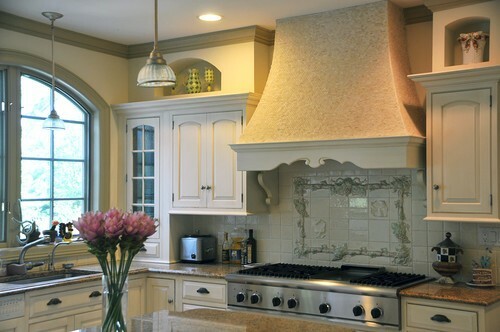 For example, try applied molding or wainscoting in a living or dining space, or look for vintage tiles for your kitchen or bathroom. Ikea shoppers, take note: If you want your home to have more of a French look, you need to spend more time at flea markets than big-box stores. Take, for instance, the kitchen: Mozouz recommends displaying colorful, vintage jars or vintage pepper mills on a rustic, wooden shelf. In the dining or living room, a French antique mirror will catch the natural light and increase the space visually. “Anything that makes the space lived-in, personal, and authentic will give a French je ne sais quoi feel,” she says. Don’t have the fortitude for antiquing? You can always fake it with some new items that look old. The French take mealtimes very seriously, which means the kitchen or dining room table has to look the part, Ziol explains. “Eating is such a ceremony that the French make sure the table setting is meticulous with loads of Old World charm,” she says. That means filling your kitchen with high-end copper pots, decanters, and silver candlesticks. “In the dining room, white tablecloths, blue and white porcelain, and fresh flowers are always essential,” she adds. Natural light and elements are a priority for any French family, from tiny apartments in Paris to Provencal estates. 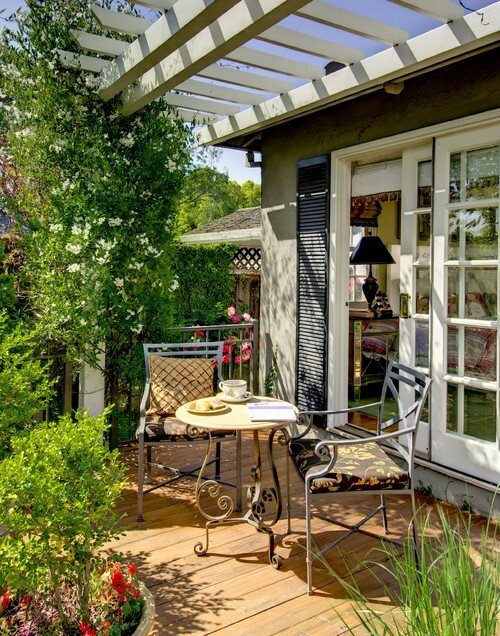 And speaking of the outdoors, it’s easy to make this space feel positively French country chic. It’s going to take time to complete your French-inspired space, Mozouz says. Tempting as it might be, don’t rush, and avoid the one-stop shopping sprees and catalog looks at all costs.